It’s scary to be a child. We start off as helpless infants totally dependent on our caretakers. As soon as we leave the safety of our mothers’ wombs, we had to start getting used to fears and anxieties as the world unfolds itself in ever increasing complexity. I remember a nightmare when i was three, the frightening image of a top hat-wearing skull woke me from sleep. It might have been Baron Samedi but I have never seen him as a child. As an adult, darkness don’t unsettle me much anymore. I remember when I was five, I cried from fear of abandonment when my mother was late to to pick me up from kindergarten. These days, lateness is merely an annoyance we tolerate of one another. I remember dreams of threatening situations in which I froze, throughout my adolescence. Although I still dream of danger I no longer freeze in them. As we grew older, we traded our neuroses with the other four of the big five as we learn to regulate our emotions, as if numbing the amygdala against future anxiety. With the amygdala taking the back seat for the emergence of executive functions which are critical for the growing up to thrive in an increasingly cognitively demanding environment, we had sacrificed our innocence. Some of us are meant to be kids. If you find yourself stifled in a boring and depressed adult world, if you realized becoming an adult was simply the only way we knew to cope with our childish fears, if you think the world would be a better place run by children, you are one of us. The return to innocence starts with controlled regression. ARISE, or Adaptive Regression In the Service of the Ego is a psychoanalytic concept recognized for decades, but little appreciated today. While regression is not considered a good thing in most fields and implies a return to an earlier or inferior state of being and functioning, Joel Gold (Psychiatrist; Clinical Associate Professor of Psychiatry, NYU School of Medicine) describes adaptive regression as an important ability we all need. There are numerous vital experiences that cannot be achieved without adaptive regression: The creation and appreciation of art, music, literature and food; the ability to sleep; sexual fulfillment; falling in love; and, yes, the ability to free associate and tolerate psychoanalysis or psychodynamic therapy without getting worse. Perhaps the most important element in adaptive regression is the ability to fantasize, to daydream. The person who has access to their unconscious processes and can mine them, without getting mired in them, can try new approaches, can begin to see things in new ways and, perhaps, can achieve mastery of their pursuits. When you play a game the first time, you have no idea what comes next. You can only react to situations. You build up tools and strategies which you apply systematically to later challenges and hopefully you would have enough competence to defeat the final boss by the end. Most people are content with playing on as long as they do not die. I prefer more control over my game. Regression allows you to start over at an earlier level with the acquired tools and strategies. The game gets easier and most importantly you get to experience it more deeply than the first go. You would have the creativity of a child and the coping ability of an adult. 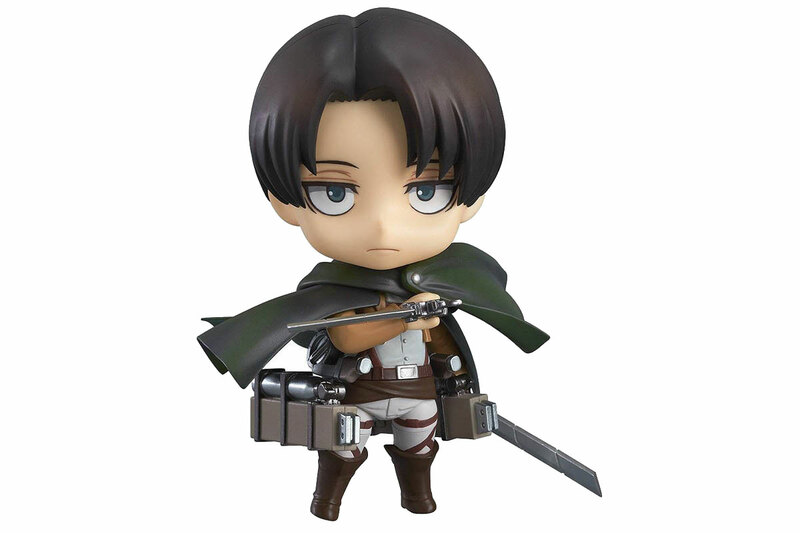 This is the Nendoroid figure of Levi Ackerman, a 34 year old elite soldier who fights man-eating humanoid giants in the Attack on Titans anime and manga series. Nendoroids are plastic figures of neotenized anime, manga and video game characters. It is what I see when I imagine an arisen adult. Children may be the answer to an ageing population. Arisen adults are the answer to a boring, screwed up world.